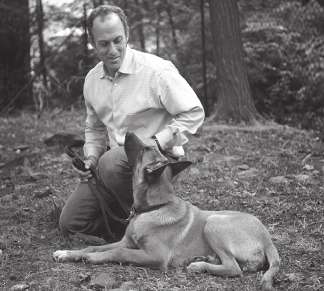 Peter Lynn is a certified dog trainer with more than twenty-three years of experience working directly with families and individuals of all ages. With his gentleness, sensitivity, and individualized training, Peter is a teacher of remarkable skill and generosity who works to increase the comfort and confidence of both dog and dog owner. With additional experiences as a writer (Peter holds a Masters degree from Columbia University) and as an educator (Peter has a second Masters degree in education and has taught high school both domestically and abroad), Canine Counselor Peter Lynn focuses on the needs of each family, offering patient and practical measures to solve behavior problems, socialize dogs, and generally increase the joy of sharing your days with a dog. Please email peter@nullcaninecounselor.com or call 914-271-2525 for more information.